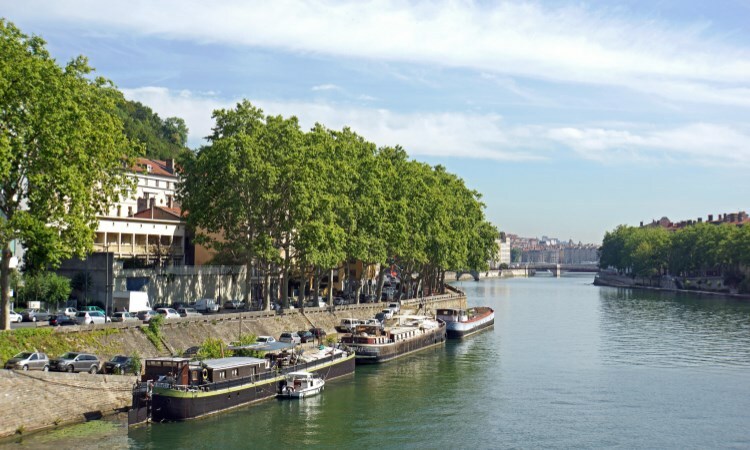 The Saône’s and Rhône’s banks, history, and the closeness to the mountains … Lyon offers the advantages of a big city and the peace, quiet, and charm of a small town. The historic, cultural, and architectural heritage is so important that several visits may be necessary. You may not even know where to begin. Our selection of the must do’s of Lyon and its secret will help. Saint-Jean Cathedral was built in 1480 and suffered damages during the French Wars of Religion, the French Revolution, and Lyon’s siege. It was restored several times and it is now part of the UNESCO’s World Heritage. It welcomes various religious or cultural events during the whole year, such as the Festival of Lights in December. The astronomical clock of the Cathedral is also quite famous, but a look from afar is enough, unless you are interested in clocks (guided tours are available). 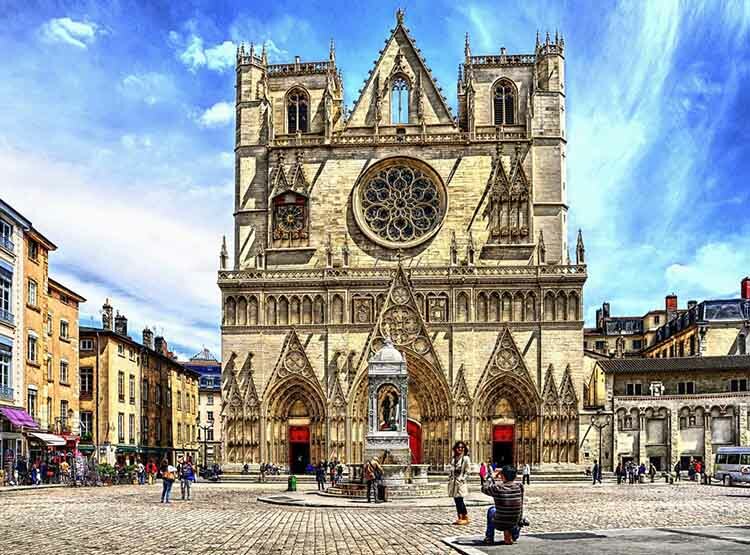 The Cathedral stands in the historic center of Lyon, which makes the area perfect for a walk to discover the authentic small streets of the Vieux-Lyon. Our advice: Do not bother with the guided tours; they are often long and boring. It must be the biggest park of Lyon, in the center of the city, and it is one of the favourites of the inhabitants. As soon as the sun shows up, they gather to enjoy the grass and the gardens. If sleeping under the sun is not for you, go visit the free zoo of the park and the small exhibitions. The name “Tête d’Or” (golden head) comes from a legend telling that a treasure, including a golden Christ head, is buried somewhere. The numerous excavations confirm that it is only a legend. The park may have been built, originally, to entertain the canuts (the silk weavers of Lyon) when they could not work. This is long past, but people still come here to relax and unwind. Our advice: It is better to visit the Park during spring or summer to enjoy the gardens. In the center of the Old Lyon are two museums in the same building: the Worlds Puppets museum and the Lyon History museum. The Gadagne museums were listed as historic monuments and reopened in 2009 after 10 years of work to become a more unique and bigger place. The Lyon History museum opened in 1921 to present the history of the city from antiquity to the present days. The collections are divided in 30 rooms with objects, artworks, carvings, and documents. The Worlds Puppet museum is younger (it opened in 1950) and shows collections of puppets from all around the world, some older than others; an excellent visit for children and grown-ups alike. Our advice: Go to the temporary exhibitions; they often deal with recent news. This is the most expected event in Lyon, as much by the inhabitants as by the tourists. Around the 8th of December, Lyon lights up and open air shows take place all around the city. Digital possibilities and audiovisual progress enables us, each year, to enjoy better and better light and sound shows. It was first a religious festival dedicated to Mary, and it soon became a popular festival lasting 4 days. Stage designs, light shows, audio effects, contemporary arts, and plastic arts combine to improve the Festival of Lights each year, gathering millions of tourists. It is one of the four biggest gatherings in the world. Our advice: Go on Monday evening; it is the last day and the street will be less jammed. This hill in the West of Lyon is also called “the Mystic Mountain.” It is the oldest site of human settlement in the city and it is considered the foundation place of Lugdunum, the Roman city located at the top of the hill. There are still archeological and religious remains in the Gallo-Roman museum, the Notre-Dame de Fourvière Basilica, or Saint-Thomas Chapel. Four tunnels pass through Fourvières, supporting tramways, cars, and metro. Their configuration is unique, especially the tramway railway, which seems to pass from apartment to apartment. From the hill and its 2,000-year-old history, you will have a unique view over the city, a show worth seeing day and night. Our advice: Take the authentic funicular called “La ficelle” to climb up; it has existed for 150 years. This French fountain is almost as famous as the Trevi Fountain in Rome. Located in the center of Lyon, Bartholdi sculpted it and inaugurated it in 1892. He had proposed the project to the city about thirty years earlier, without success, but after he made the Statue of Liberty in New York, they called him back. The fountain was presented at the World’s Fair of 1889, where Lyon’s mayor bought it. 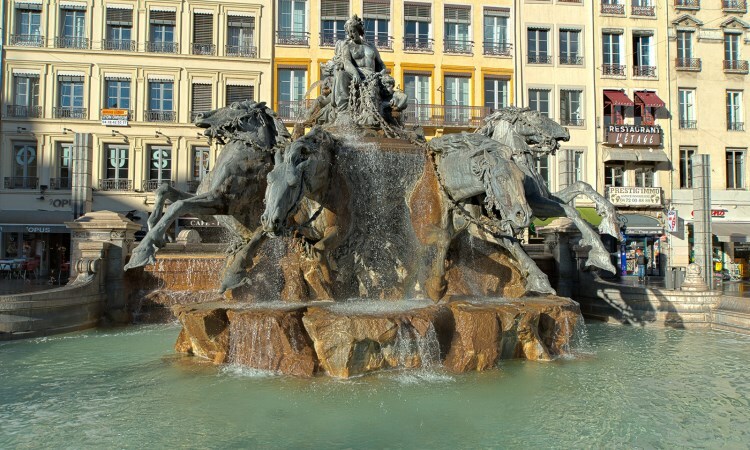 It represents France and its four main rivers under the traits of Apollo and four horses. Our advice: Try to see it during spring or summer; otherwise, there is no water. 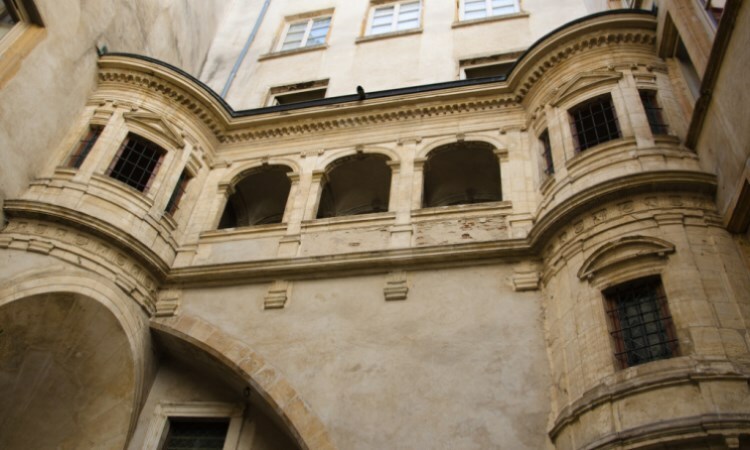 Traboules are little passageways between courtyards and they are often associated with Lyon (but not only). They enable you to go from a street to another through a quieter way. You cannot access them by car because they are far too tight, with staircases and other obstacles. You will not need to search them for long; there are over 500 in Lyons, though only 40 are open to the public. The first traboules were built in the 4th century and may have served to go to the Saône in a safer and quicker way, because the city lacked water. They also enabled Resistants to hide from the authorities, but the invention of digicodes put an end to this. Our advice: Get your hand on a map of the open traboules to find your way out. 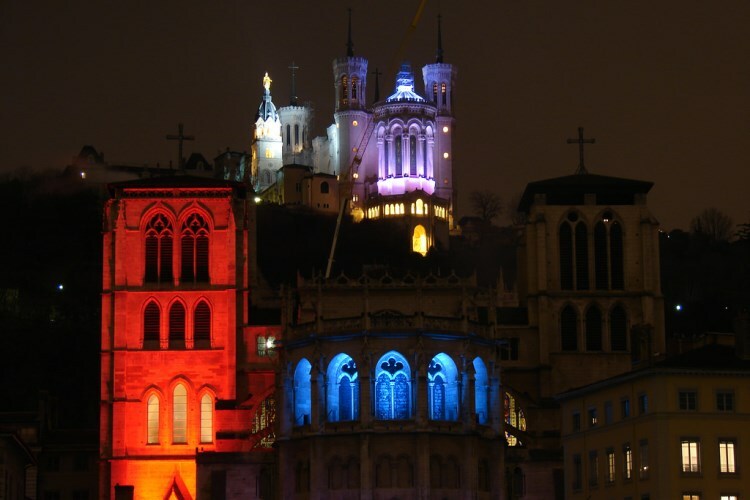 Located on the bank of the Rhône, the Hotel-Dieu is one of the biggest monuments of Lyon. It was built in the 12th century and was the first hospital of Lyon until 2007, when the different services were relocated. The building was abandoned, but important renovation works have been taking place since 2015 to transform part of it into a hotel, and the other part is a museum capable of housing national events. The place is famous because French celebrities went here, such as Rabelais and Richelieu. Great scientific progresses took place here as well, such as the beginnings of radiology and the opening of the second cancer center in France. The Hôtel-Dieu is worth the view, if only for its architecture. 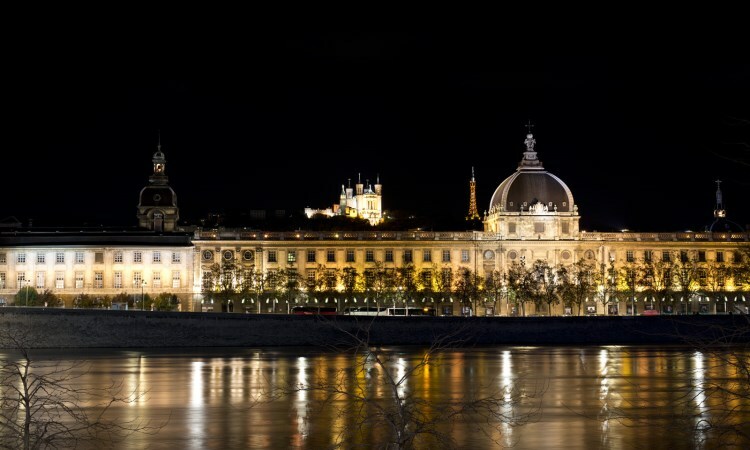 Our advice: Go admire at night, when it is lit up in front of the Rhône. This is not just any wall, but a gigantic trompe-l’oeil painted in 1896. 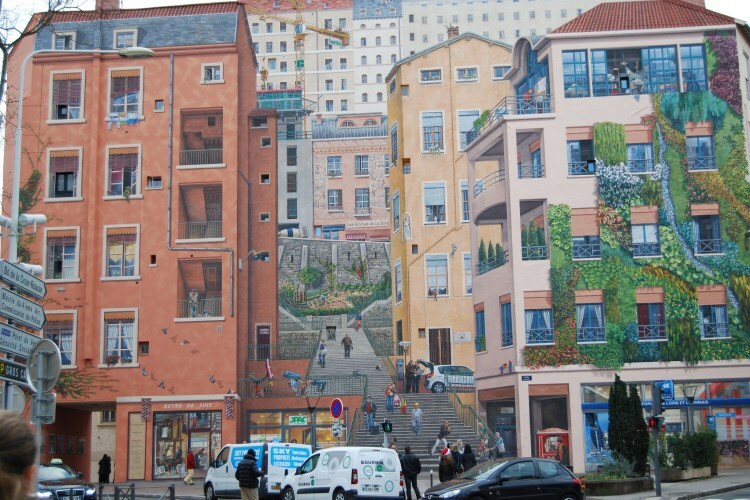 The group CitéCréation created more than 600 other works, but the Canut Wall Painting is by far the most famous. This 1200m² painting shows us a very convincing extension of the city, comprising new buildings and streets. And this is not the only building of the street: La Sarra was painted in 2003 and is twice the length of the Canut Wall. Our advice: Go see it by daylight because the painting is not illuminated at night. 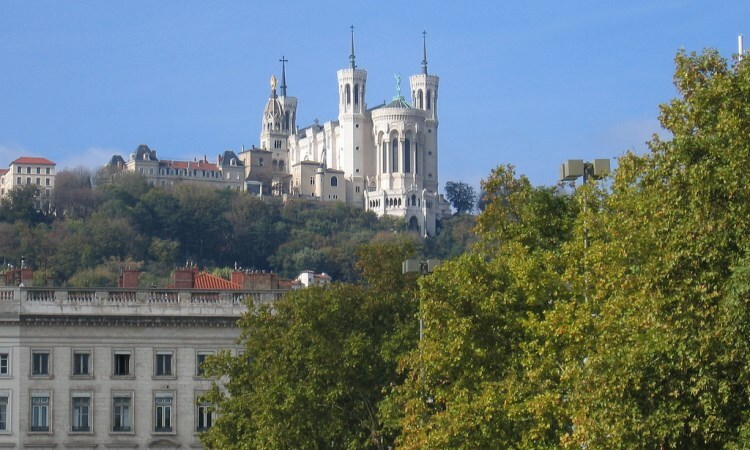 Lyon is also known for its numerous Roman monuments, and it was a Gaulish site before that. 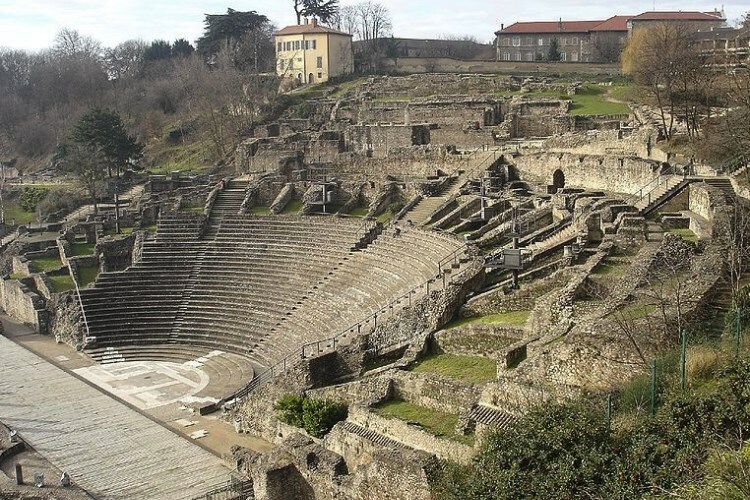 The antique theater is one of the most beautiful of Lyon’s ruins, and its state allows us to truly observe life at the time. It was built under the Julio-Claudian period (around 10 BC), and then it has been widened in the first century to welcome up to 10,000 people. It was abandoned during the Middle Ages and was buried until it was rediscovered and restored in 1933. You can now visit it, see shows and the “Nuits de Fourvières” festival in the summer. It is a highly touristic place and belongs to the archeologic park of Fourvière, along with the antique Odéon and the Gallo-Roman museum. It is part of the UNESCO’s World Heritage. Our advice: Try to go there for a show to be fully immersed in the Roman atmosphere.